The first day that I came across Adoption Center of Hope was a day I will never forget. It would be the day that my whole life would change. I was 24 and already a mother to three kids, but they were not in my care due to wrong choices in life. I was homeless on the streets when I found out I was pregnant. I was alone with no family support. The first day I spoke with the Michelle from Adoption Center of Hope, she actually came and met me at the doctor’s office. It was a shock to find out that I was 17 weeks pregnant. From that first day, Michelle made sure that I was safe and that all my needs were met. Never would I think that the relationship between she and I would be more than business, but I was wrong. She was there for me- not just regarding the adoption but in every aspect of my life. She helped direct me in life and was standing by my side through all of my struggles. I couldn’t have been more blessed to have a person like her as part of my life.due to wrong choices in life. I was homeless on the streets when I found out I was pregnant. I was alone with no family support. I began to scroll through the yellow pages and there I found Adoption Center of Hope. In July, I gave birth to a beautiful blessing – my son. My relationship with the adoptive parents grew to be close. It made me very content with my choice and I wouldn’t have it any other way. I would be lying if I sat here and told you that this is an easy thing to go through, because it’s not. It’s only been a few months so not a day goes by that I don’t think of him or wonder what he is doing. But when I’m hurting, I remember a certain thing the adoptive father said to me. He encouraged me to pray, and to thank God for what I do have and to ask the Lord to give me tangible signs on what to do next. I never really prayed before this experience, but now I do – every day. I do miss my son, but I know that he is loved and that he has the most wonderful parents in the world. A lot has changed in my life and it has taken a turn for the better as my three kids are back with me for good. I’ve grown in so many ways and have changed everything about my life. I see life in a whole different way. I never knew that I could be capable of making such a difference in two people’s lives, but the tears of joy and happiness I saw after my son was born. Their look – as if nothing else was around- was the warmest feeling to my heart. It brought me to tears. Not only will I carry on in life with a special place in my heart for my son, but also for his parents. Michelle, as well as her daughter Arielle have a special place in my heart. They are special people – who still are a part of my life, physically and emotionally. We have become like family. Family is such a beautiful blessing. It’s not perfect, it takes a lot of work, and you have to put yourselves aside to be able to raise your children. God knows my heart, He knows my desire, and He knows how I can lose track of Him in effort to control my own will. Even though I backslide, my heart and mind always pull back towards the Lord. In my church bulletin, there was this phone number alongside what I misread to read “Teen pregnancy and adoption helpline”. That number was for the Pregnancy Resource Center in San Bernardino and it connected me to Raquel. We had such a special conversation that stays with me as one of the many signs of how adoption touches people in a wonderful way, thank you Jesus! See the word “Adoption” looks like “Abortion” and I wasn’t identifying with that or “teen pregnancy” and probably wouldn’t have thought to call there if I had read it right. Small detail but it is impactful to this bigger story I have. Raquel couldn’t help me there but quickly said “You should talk to Michelle with Adoption Answer.” She told me Michelle was local and I could meet with her pretty quickly. I hung up then called Michelle while I had the momentum and questions. Ring ring… (walking laps around the couch) ring ring… “Adoption Answer…” Wow. I know every one of you who have called her can understand me when I say there is something instantly special about Michelle. I was calling for answers but admit I was concerned that I was going to be given a pitch. With Michelle, you can tell that if your lives are going to connect that it is because it’s God’s will and not something artificial to that. She gave me answers and made herself open and available in case I had more questions or wanted to begin the process. She concerned herself with where I was at in life and made it a point to me that she doesn’t judge me and I knew her actions were going to prove that. Even though I didn’t feel I needed anything but answers at that moment, I appreciated that if there was something I needed she would work something out. I believe that Adoption Answer supports her to be able to do this. Thank you Jesus! Wow!! 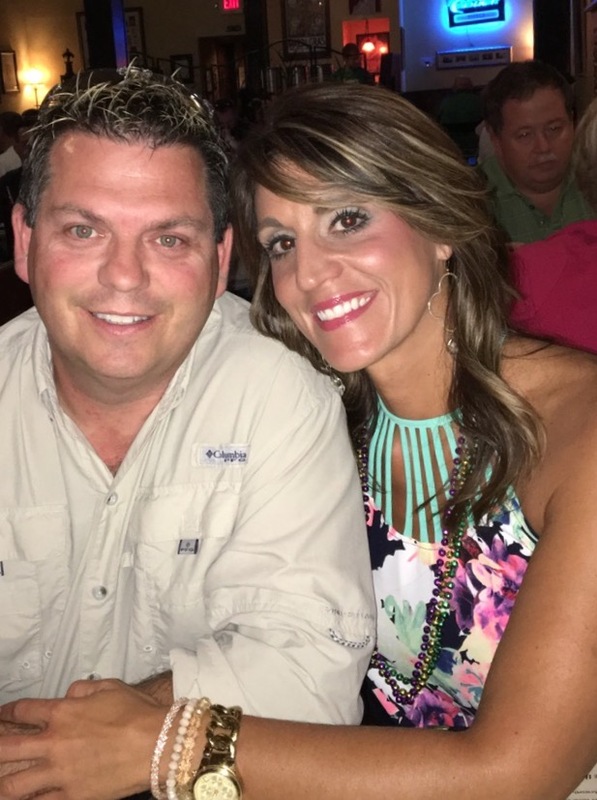 The connection I have with Mike and Kim went further than our adoption match. Our friendship is God centered and what blossoms out of that is ever revealing. They are such an amazing couple. I feel they have put themselves out there and I respect that and see it as a gift. I want to mention that because we spent great care over each other, there was some amazing harmony in the delivery room and after care. I appreciate that they didn’t walk on eggshells around me and that they really trusted me. I appreciate them for so many reasons. It has been 4 months since I first met Emsley and I still have no regrets here, no sadness. It has been my privilege to have gone through this. I have given my grief of backslide to God a long time ago and do not carry that with me. I have been polished by this experience and would do it all again if that’s what God wants for me. questions. Birthmothers and fathers; take pride in the fact that you have options and it should mean something that you are looking into them. Adoptive parents in waiting, I think about how you’re in this journey everyday and how He is working on preparing you. I think about how He doesn’t give anyone more than they can handle. I have a strong desire to say this now; God never takes his eyes off of you and He is committed to you. To everyone who’s connected through adoption, I am thankful to you. What adoption is today is so beautifully faceted. Feeling pride and satisfaction because you are a part of something beautiful teaches the world that adoption is a healthy choice and an option to consider. May God continue to touch you in your lives. When I found out I was pregnant, I was in a desperate situation. At the age of 20, I had two kids already. The relationship with the baby’s birth father had become abusive and my family really didn’t want to have too much to do with me. I seriously considered abortion and came very close to having one. Adoption. The hardest and most beautiful choice. When I found out I was pregnant, I was in a desperate situation. At the age of 20, I had two kids already. The relationship with the baby’s birth father had become abusive and my family really didn’t want to have too much to do with me. I seriously considered abortion and came very close to having one. I thought of adoption but the first adoption agency I called was very cold and made me feel as if I was just a customer. When I called Adoption Answer, it was different. The voice that came from the other end of the telephone was warm and comforting – she introduced herself as Michelle. As our conversation continued, I felt like I could trust her and that they would really help me. I shared that I was practically homeless and had two children who I had to trust to their father’s care as I was in no position to provide for them. They came up to meet me for an appointment and instead of leaving me homeless, began to help me that same day. 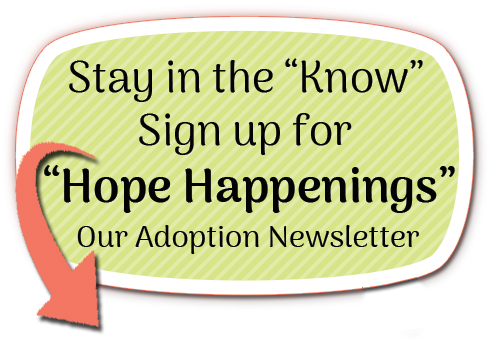 I entered into the world of adoption and looked and read through many profiles of adoptive parents wanting to complete their family. The first two families I chose were unable to proceed with adoption – they were just not the right family. Michelle assured me that I would find the perfect family and I will never forget when she told me that she had ONE MORE PROFILE for me to look at. IT WAS THEM! At first glance, this couple made me feel that they were going to be it! As I read through the profile, I knew they were everything I wanted for my unborn child. When I met them – this complete peace came over me. The adoptive parents were very involved with everything. They were and are so wonderful and I could not have asked for better parents for my child. She is so blessed to be with them. If it wasn’t for Michelle, Arielle and the Adoption Answer staff, I don’t think my journey through adoption would have been so wonderful. During the six month period that I lived in the birth mom home, I was able to complete my high school diploma and am now about to graduate with my certification as a Medical Assistant. My children were able to come and live with me. I also began going to church and accepted the Lord as my Savior. I thank the Lord for leading me to Adoption Answer. I thank the Lord for Michelle having Adoption Answer as a ministry – she is such a wonderful person and helped me through so much. Recently I moved out on my own and I still call Michelle. I continue to go to church. I am hopeful for my future and am thankful for the peace I had through the whole adoption process and even after. Michelle, I will always be so grateful for you being there for me through everything. I love you. Hi Michelle. I am glad that you helped me find a family for Charlotte. The adoptive parents are perfect and it’s good that she has a big sister and brother, too. I think about her a lot, but I know she is happy with her family. They take care of her better than I could. Here are the words of one of the most special young women I have had the blessing to meet and work with. Though Leslie has the emotional maturity of a child, she was big enough to know what was best for her baby. Showing her huge heart throughout the process, she blessed her daughter with an incredible family. Leslie has been a joy to help. I was adopted too and my family loved me so much, so I know my baby being adopted is just right. The adoptive family is just right. You were so nice to come and stay with me in the hospital and hold my hand during my surgery. Everybody at the hospital was nice to me. You were nice and so was Charlotte’s new parents. Thank you so much for helping me and helping Charlotte. I feel like everything is just right. Working with Ashlene and Michelle was life changing. I thought I had no where to go and they saved my daughter and myself! Michelle worked tirelessly to get the adoption process started for me and stayed by me while I searched for the perfect family for my daughter. Every step of the way, I had a tremendous amount of support and love. Ashlene has become family to me. These women are not just here to get the job done and leave. Ashlene helped myself and my daughter’s parents through so much while they were here. She was by my side while I gave birth to my beautiful daughter and she has stayed a huge part of my family since then. We have regular contact and we see each other and our kids to catch up. The adoption process was much less stressful for me with Adoption Center of Hope than with the agency I had previously been with in Raleigh. Our family chose an open adoption and it couldn’t be more perfect. I felt so lucky when I found them. The moment we got off of our initial call, Michelle asked me who I wanted to speak to next and I said, “Nope. I want them. It’s them.” I just knew, somehow. My daughter’s parents held my hand through her birth, have been family to me when I need guidance, have raised her into this beautiful young girl that she is. We send pictures to each other and call on holidays. With an open adoption, you have all of these plans of how it should be: “We are going to talk once a week.” “We will send photos all the time.” You still have to consider that you have real life going on around you. We don’t talk on the phone every week, we don’t send pictures every week but we do what works for us. My daughter’s parents are incredible individuals and they have never made me feel like I was on the outside. They don’t push me out, they never leave me in the dark. Being able to watch my daughter grow up from afar is such a gift for me and I am grateful for it every single day. I think that there is such a negative light, such a stigma attached to adoption but it has the potential to be something so beautiful. When you find the right parents, the organization, and have nothing but good intentions- it is so incredibly rewarding. My daughter will be four this year and she has a biological little sister now! I’m so grateful that they will know about each other and hopefully, when they are older, know each other well. This experience was nothing short of incredible. Though the choice is never an easy one to make, the support I was given by my adoption facilitators, adoptive family, and my own family; it really changed my life.